An effective fruit fly baiting programme before and during SIT is essential if the SIT programme is to be a success. Wild flies must be controlled – if not, the wild fly population will rapidly ‘run away’. The main objective is to kill female fruit flies before they mate, and therefore to limit reproduction of the adult generation. The main focus should be all known fruit fly host plants, cultivated and wild, as well as all good shade trees in which fruit flies will often be found. Ideally, a baiting contractor should be used for all baiting operations in order to achieve the necessary level of success. “Attract & kill” bait stations are also a very useful and practical means of reducing populations in home gardens and other hotspots. They comprise a protein attractant and insecticide. The fruit flies feed on the bait and die soon afterwards. The bait of choice is GF-120 due to its high efficacy as a fruit fly bait, and its very favourable ecological profile. It is registered for application by ground or air. However, a mixture of malathion and protein hydrolysate can also be used as a ground application. The bait recipes below are registered for ground-based application on deciduous fruit and table grapes. NB: GF-120 should only be applied with special equipment – consult an advisor. The same equipment can be used for both GF-120 and protein hydrolysate baits. Note that mercaptothion has been “red-flagged” internationally, and may not be permissible on export fruit in the foreseeable future. Apply routinely in a coordinated manner according to the prescribed programme. Application intervals change during the season, from weekly during the growing season to fortnightly during winter. Consult FruitFly Africa. Apply in scattered coarse droplets of 1 to 4 mm diameter for bearing trees (to minimize fruit spotting), and 4 to 6 mm for non-bearing trees, post-harvest, or non-commercial shrubs and trees. Larger droplets are more attractive to fruit flies, and the active ingredients stay effective for longer than in smaller droplets. 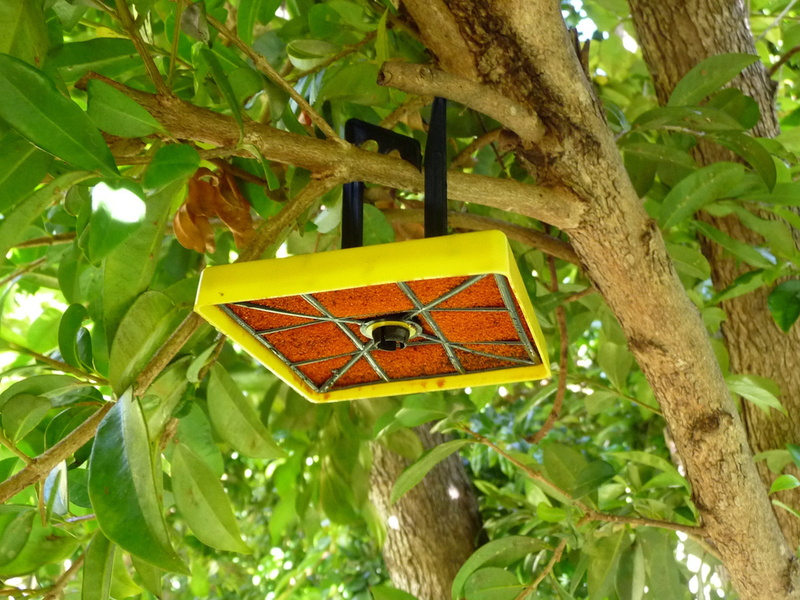 Aim the bait to the southeast quadrant of the tree, in an upwards direction to place it in the centre of the tree, under the leaves where the flies tend to congregate and mate, and where the bait is protected from rain and UV light. Apply in the early morning (so that it is the fruit fly’s first meal of the day). Under conditions of heavy early morning dew, rather apply the bait later in the day. Adult fruit flies will congregate on host plants and trees/bushes offering good shelter. Gardens and backyards (in towns and on farms) are the main breeding grounds of fruit flies, and are without doubt the major source of fruit flies in and around commercial orchards. If fruit fly populations are effectively controlled in these areas, fruit fly levels in commercial plantings will decrease significantly. Apply to all host plants and trees/shrubs with good leaf coverage that provide good shelter to fruit flies, especially in gardens and backyards, over the entire SIT area; the larger the area treated, the greater the efficacy. Apply to commercial plantings according to registered recommendations – consult the bait distributor or FruitFly Africa. The aerial application of concentrated fruit fly bait is a very effective manner of fruit fly population suppression. 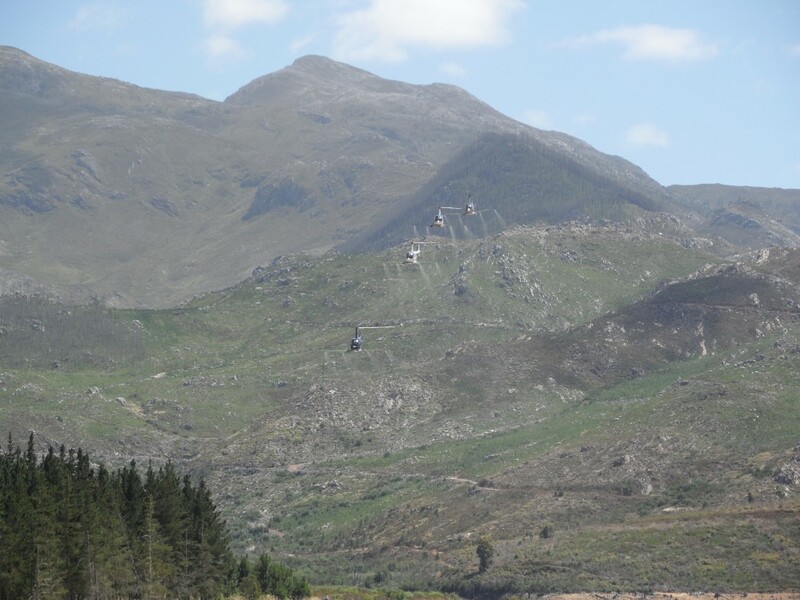 In South Africa the aerial application of the mercaptothion + protein bait is only registered for use on citrus. However, GF-120 is registered for aerial application on all fruit kinds. Aerial applications must be made with the correct equipment. Details on the type of dispensing tubes and swathe width etc. should be obtained from the GF-120 distributor. Notice is hereby given that four aerial applications of Fruit Fly Bait, GF-120 (Reg No. L7331, Act 36 of 1947), will take place between January 2013 and March 2013 in the Elgin/Grabouw, Hex River Valley and Ceres production areas. These applications are part of the Deciduous Fruit Industries area wide action regarding the control of fruit flies in the above areas. Fruit flies are a phytosanitary pest and cost producers millions of rands every year. All available methods for control measures are presently being used to fight the pest. Production areas close to residential areas are being hit the hardest by fruit flies because of insufficient control measures in these areas. Monitoring of fruit fly numbers with traps containing either a pheromone or a controlled release vapour attractant system. Sanitation in orchards and vineyards where fruit flies can hatch, hide or find shelter and food to live on. Regularly applying fruit fly bait in orchards and vineyards. Releasing sterile males on a weekly basis. 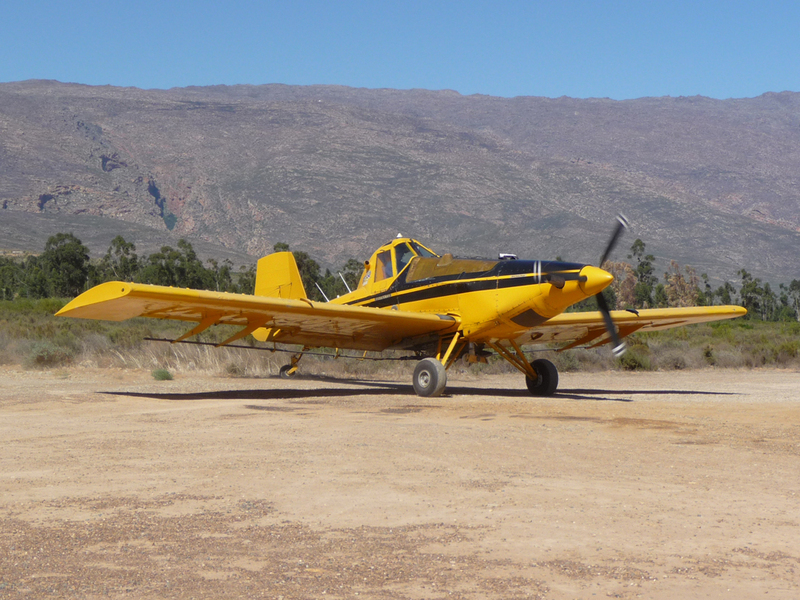 GF-120 Fruit Fly Bait is registered for both ground and aerial applications in South Africa and other countries. All the ingredients are natural and GF-120 is used internationally as a very low risk product. Different types of sugar, maize protein and spinosad, an active ingredient obtained from a fermenting process of Saccharopolyspora spinosa which is a natural ground organism. The potential disadvantage of spinosad for humans and animals is +/- 1.5 times less than normal table salt. When this product is used according to the recommendation, only 0.24g of the active ingredient will be spread over a hectare in scattered drops. If applied as prescribed, there will be minimal risk for animals, human health, birds and any other organisms in the environment, as it will only attract and kill fruit flies. All children should be indoors at time of application. Seek shelter at time of application. Do not hang out any washing during this period. Where possible, vehicles should be under roof (if any drops fall on a vehicle one can easily wash it off with water without leaving any stains). PLEASE TAKE NOTICE THAT THE TARGET AREA FOR AERIAL BAITING IS NOT TOWN AREAS.